Chelsea Wolfe has quickly become one of my top three favorite artists in the past year. Her intense vocal range cuts through you as she expresses depth and intense emotions on every song. She carefully crafts each song with intricate compositions which combine classical, goth and experimental instrumentation. She utilizes soft vocals, sometimes stark without any musical accompaniment, soaring melodies, or a whispery vocal depending on what emotions she intends to convey. 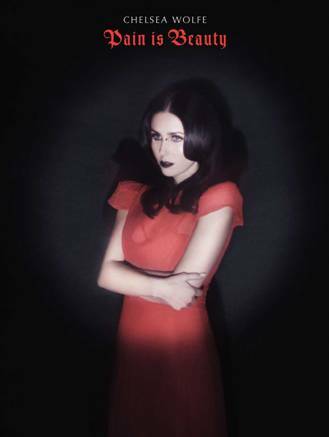 Every Chelsea Wolfe song leads the listener though a personal emotional journey. . A beautiful, haunting escape. Pain is Beauty is yet another near perfect album for a superbly talented singer/songwriter who should be getting far more attention than she does. This entry was posted on September 5, 2013, 16:31 and is filed under Music. You can follow any responses to this entry through RSS 2.0. Both comments and pings are currently closed.